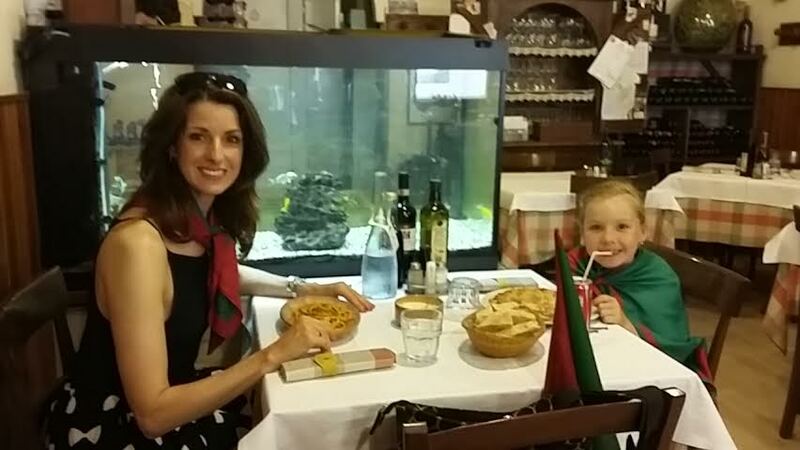 After a year of living in Ireland, we have returned to our beloved former home of Arezzo, Italy. Don’t get me wrong, we are LOVING life in Ireland. The people and adventures there are more than terrific. 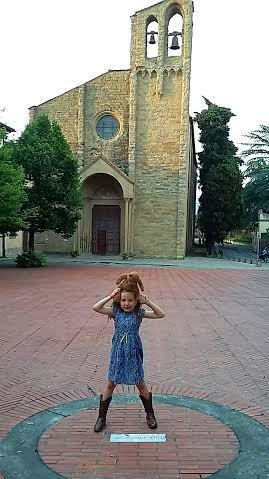 But we longed to walk the cobbled streets of Arezzo’s medieval “Centro Storico” again. 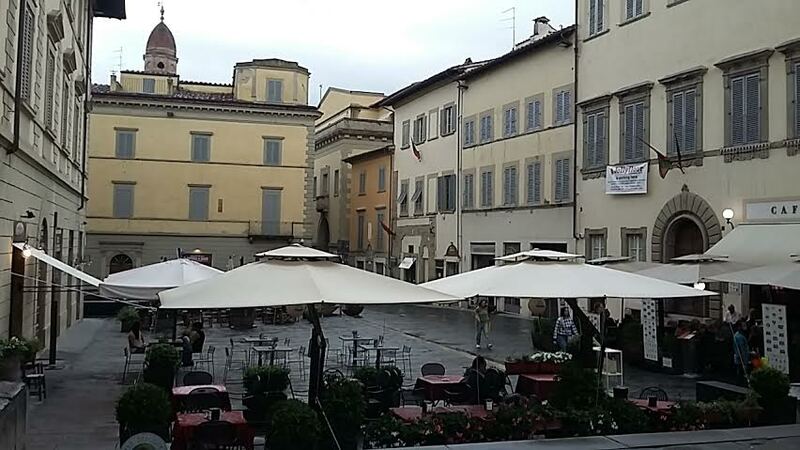 A piazzetta in the historic center of Arezzo. How would it feel to be back for just a two-week vacation? The town and its wonderful residents would have spent a full year working, playing, dining and simply going on. Without us. 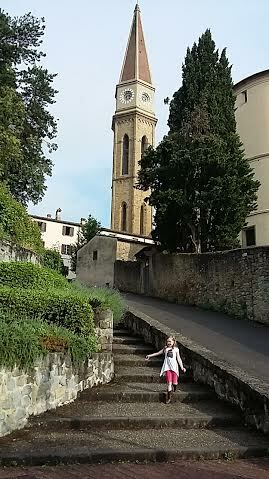 Lulu and Vincent and La Chiesa di San Domenico. So, with fingers crossed, we called out to our former neighbors, schoolmates and pals. Would they make a little time for us? —- Guess what!? 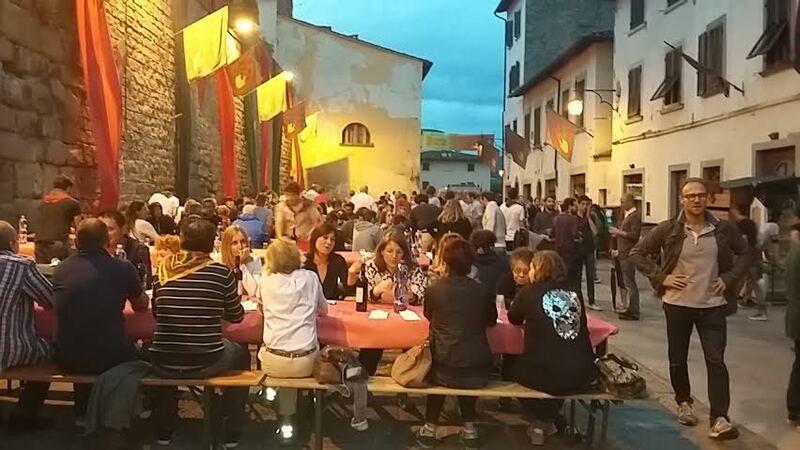 We went to this marvelous “Cena di Colcitrone” dinner with our old friends in Arezzo! Evviva! 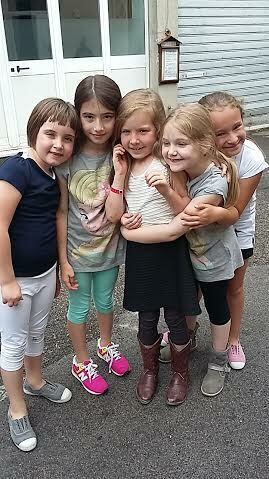 Lulu together again with her girl friends from her former primary school in Arezzo, Aliotti. 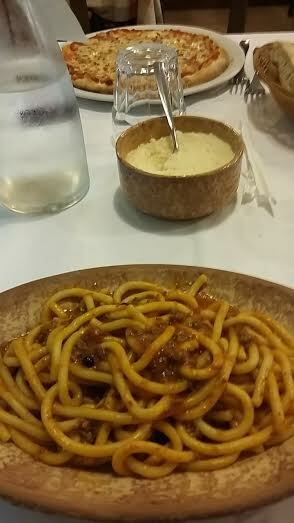 Eating “pici con cinghiale’ at one of our favorite restaurants – where they remembered us and gave us our “usual” table! It tasted as good as I had remembered. Che buona! Lulu has gone to camp with a former buddy. She has played with her old girlfriends. We have had our nails done at our former salon. We have visited with Lulu’s Italian “nonno” Mario. We attended a great big feast in our old “quartiere.” In short, we are happily being reunited with our favorite people and places! Yes, life does go on. Some shops have closed while a couple new ones have opened their doors. Kids have grown taller. One dear friend, sadly, has passed away. 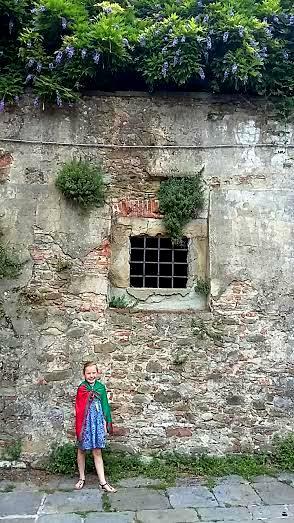 Yes, the seasons continue to change and the rain does fall – even on our Tuscan retreat. But no matter if you change towns, jobs or in our case, countries, you can and should stay in contact with your former friends and colleagues as best you can. 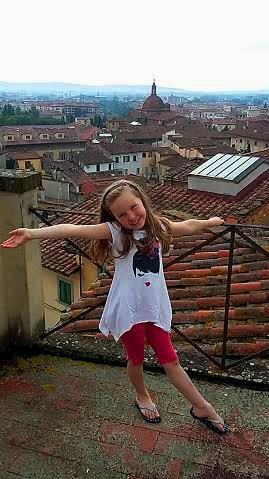 Lulu and Arezzo’s Duomo bell tower in the background. 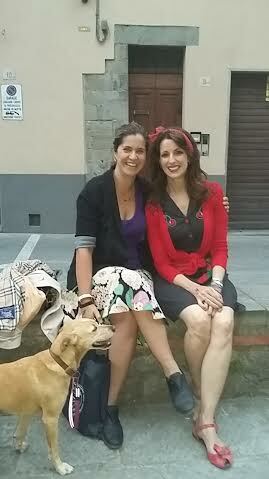 Reunited with my dear friend Carla Veneri. Social media is terrific for doing just that. In fact, last summer, I went to Ghana through the US State Department to train the country’s 60 spokespeople. My co-trainer was Jeff Eller, a wonderful inspiration to me when I was fresh from college and worked under him at the Democratic Party in Washington, DC – some, er, twenty years ago. We were friends on Facebook. And there we were together again last August in Accra! 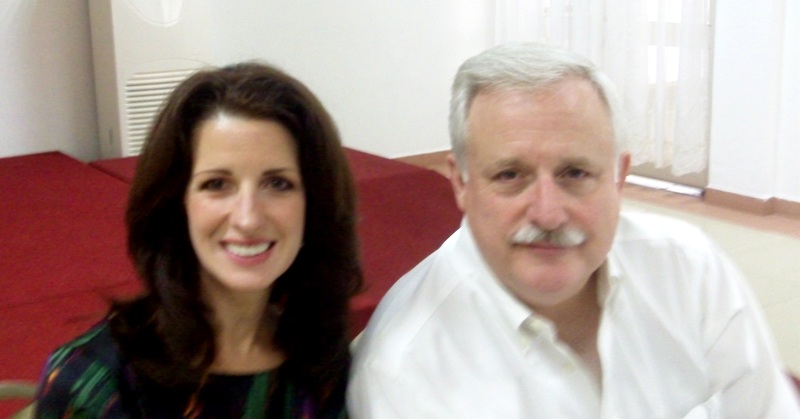 Jeff and I together again in Accra last August. So, keep in touch. You never know what fun you’ll have in the future. As the saying goes: Make new friends, but keep the old. Thank you for sharing your time in Arezzo. 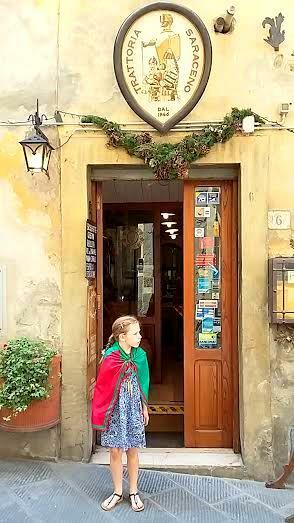 Just this morning I was thinking that when I do my Lucca trip in April I will take a day for myself and go down to Arezzo. It’s been much too long.